A monolithic volume that, once open, reveals a multi-purpose space for the home office. 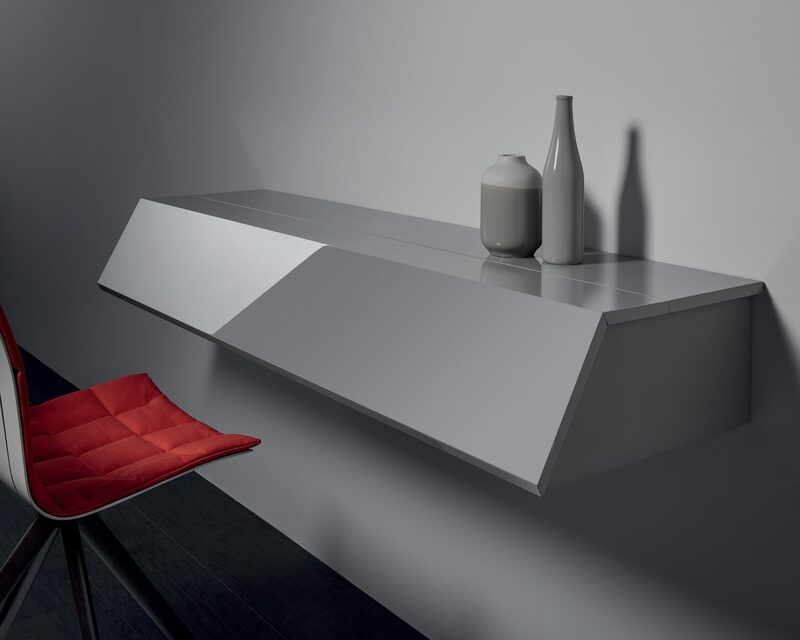 With a single movement, the dual-flap® system opens the front large cover turning it into a writing table. 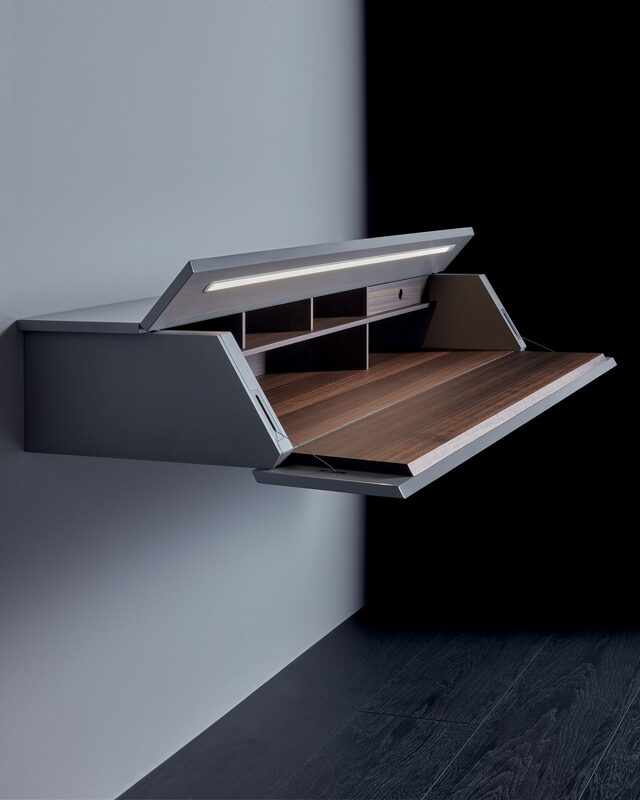 At the same time, the top part of the volume is lifted to easily access the inside section of the cabinet, which reveals paper sorting slots and a small drawer for pens. 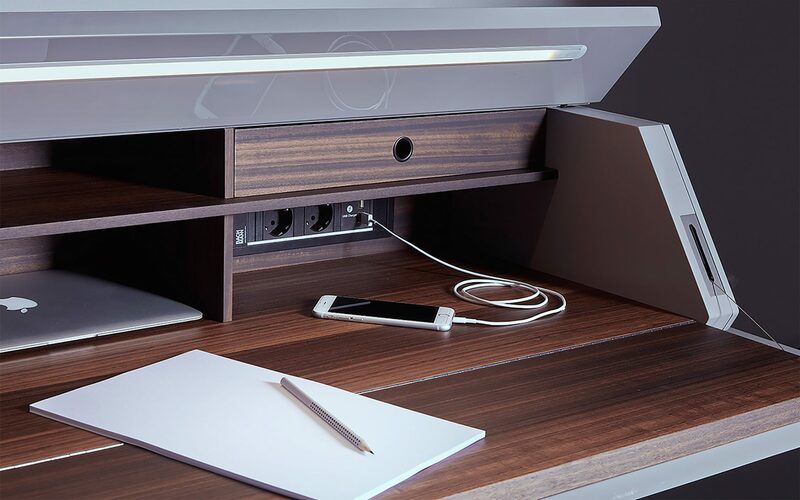 The set up is completed by handy power outlets (2 usb and 2 shuko), hidden within one of the slots, as well as a led touch light bar perfectly integrated within the unit’s top. 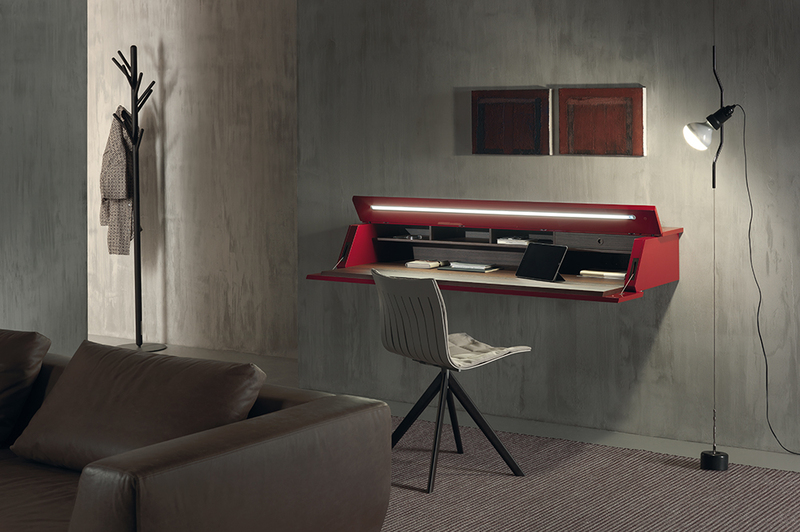 When this is fully open, the bar offers the correct angle to light the work space.